Among the three formats, Bangladesh cricketer Shakib al Hasan was at the summit of the all-rounders’ ranking in Test matches, but he has now lost his throne to West Indies captain Jason Holder, reports Dhaka Tribune. 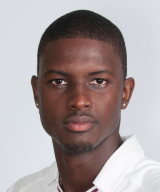 Holder enjoyed a stellar Test against England in Barbados, hammering an unbeaten double hundred and taking two wickets as the Windies cantered to a huge 381-run win. This saw Holder dethrone Shakib at the top of the Test all-rounders’ ranking. Holder is at the top with 440 rating points while Shakib is second with 415. India’s Ravindra Jadeja, England’s Ben Stokes and South Africa’s Vernon Philander are third, fourth and fifth respectively with 387, 344 and 341 rating points accordingly.